First clean the eggs properly. Now boil the fish eggs for five minutes (Add a pinch of salt in the water at the time of boiling. The boiling process increases the volume of the eggs). After five minutes strain it and let it to cool in a big bowl transfer the boiled fish eggs. Add all ingredients and mix well. 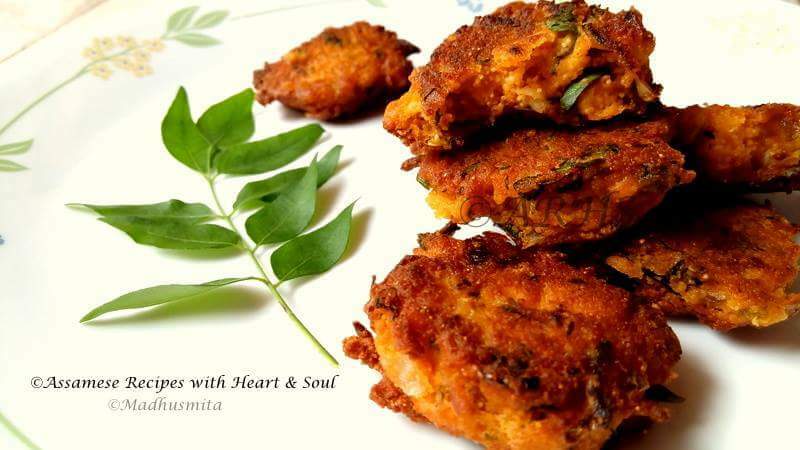 Make a thick mixture with little water Heat oil in a pan and shallow fry the fritters until golden brown on both sides. You can even deep fry if you want.